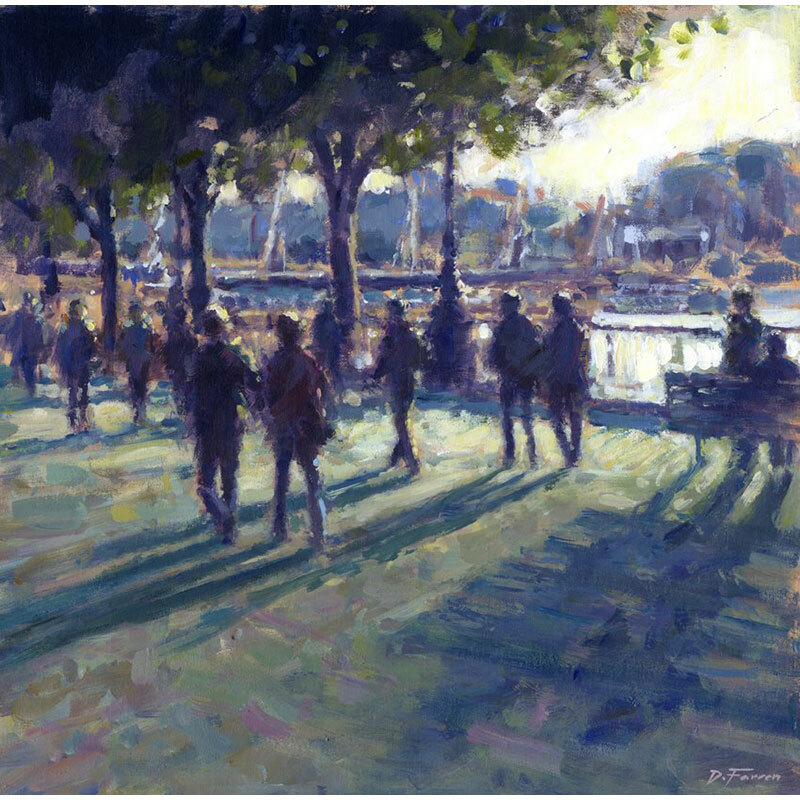 Here’s a new acrylic painting by artist David Farren: it’s entitled “Evening Shadows, Southbank“. There’s some lovely summer themed paintings arriving soon at our gallery, so be sure to look out for them. For more details, contact us at gallery@thewebbsgallery.co.uk.